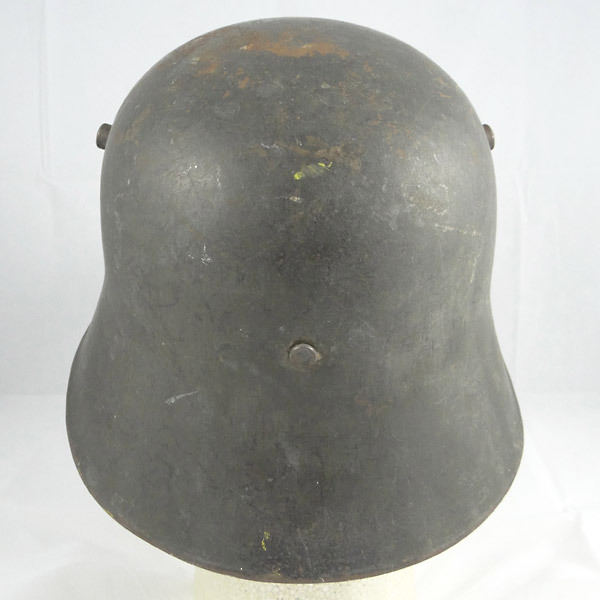 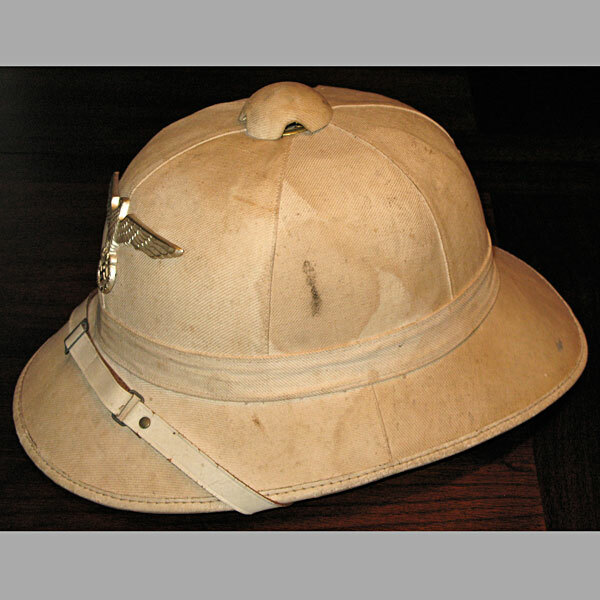 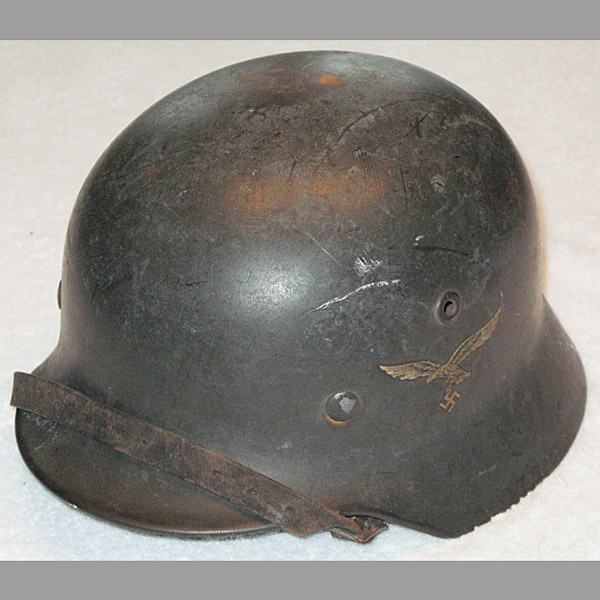 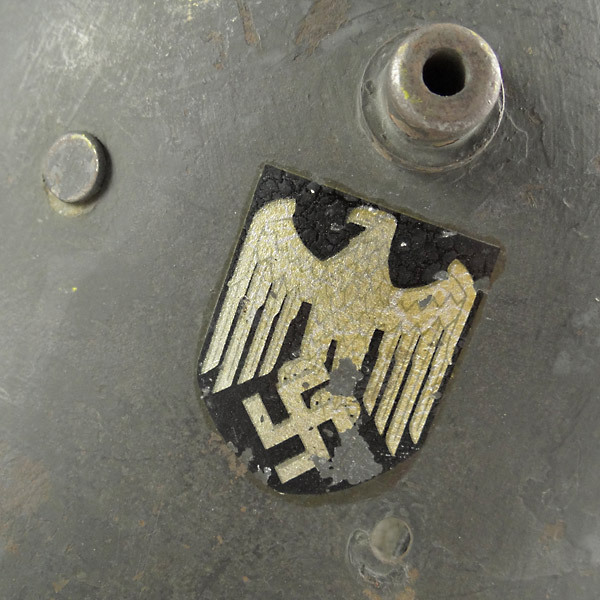 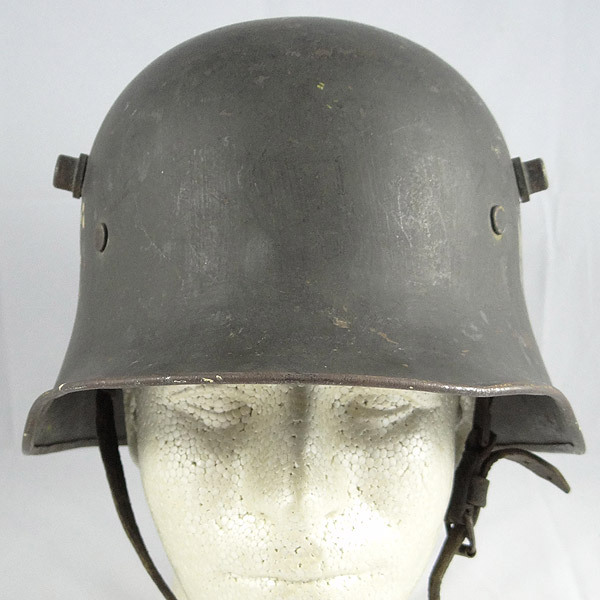 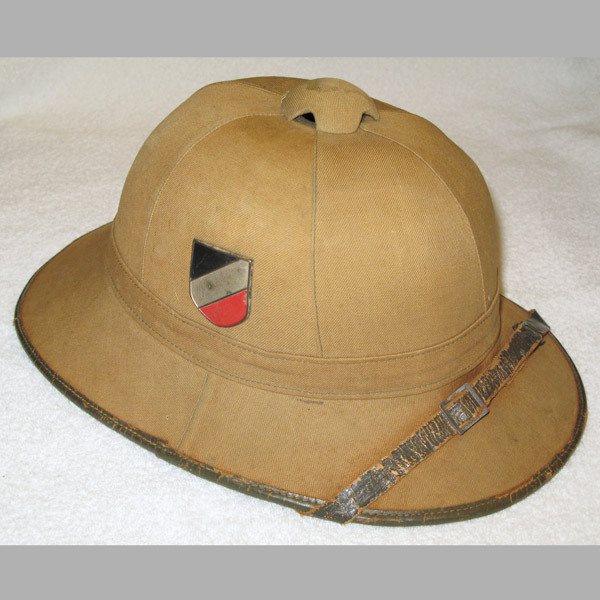 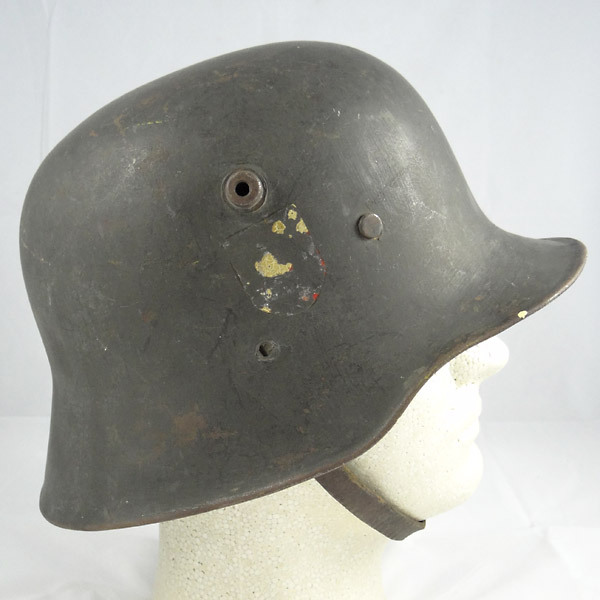 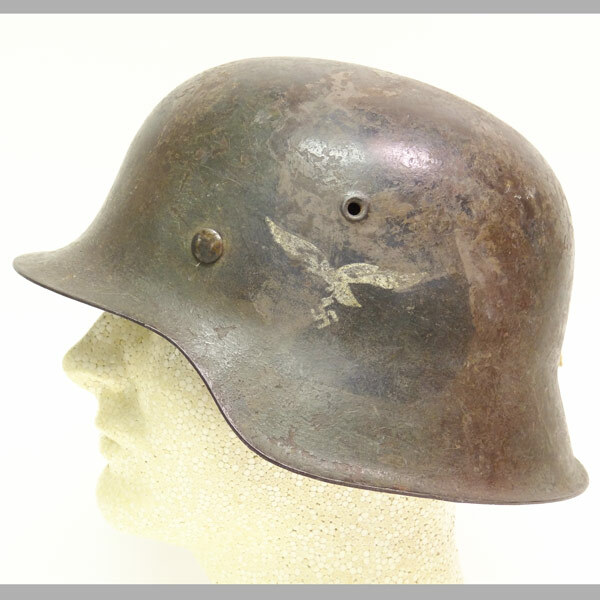 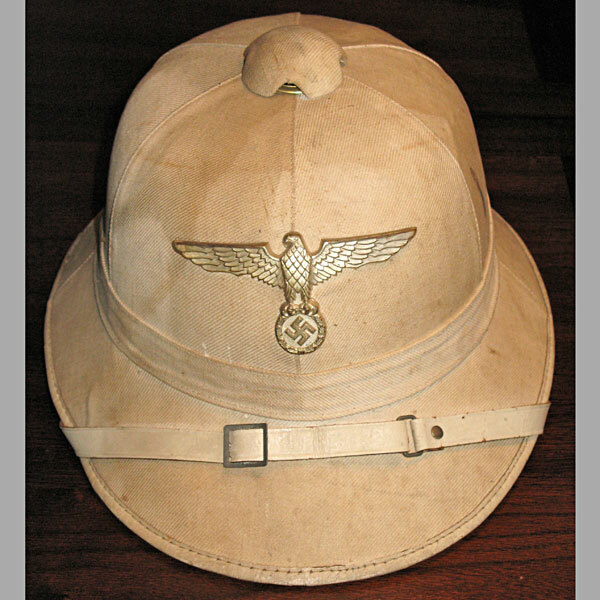 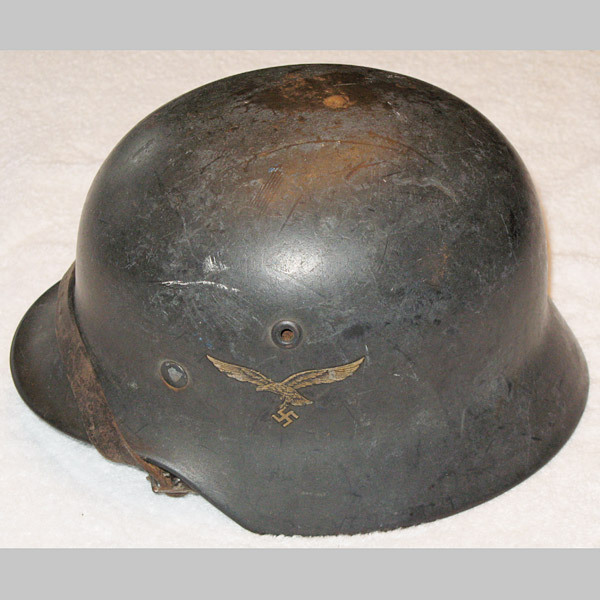 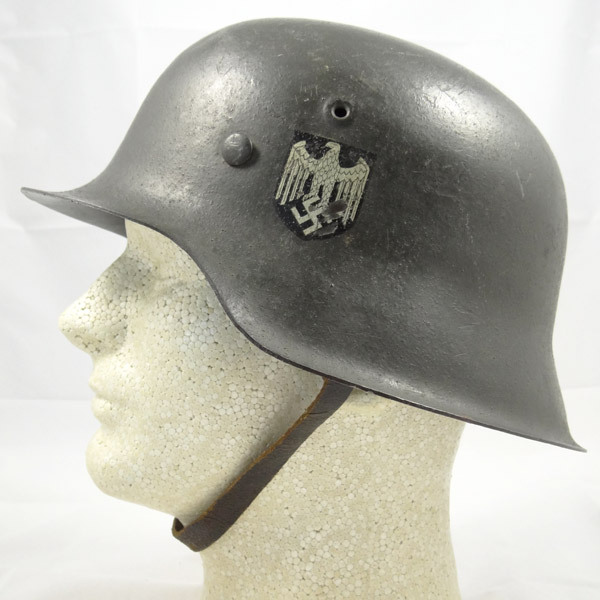 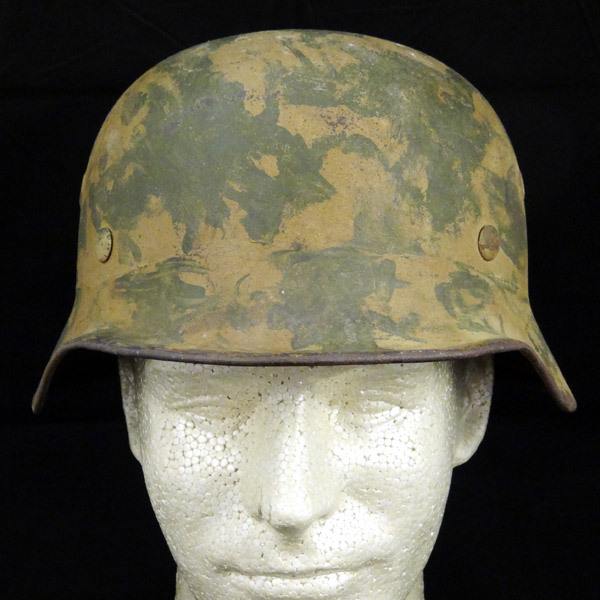 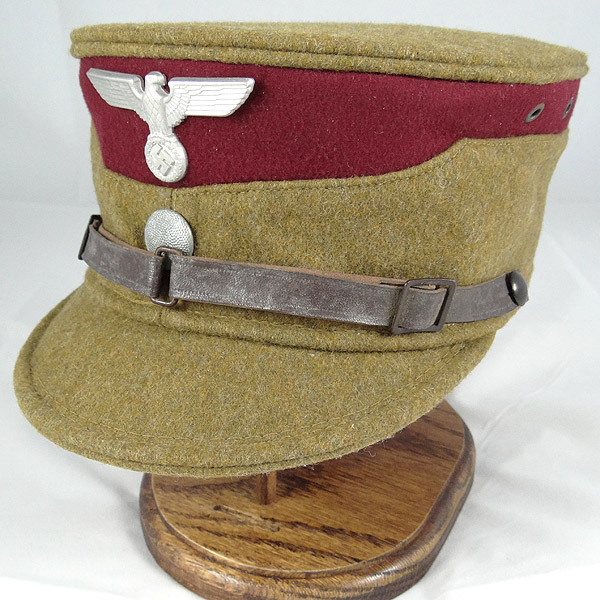 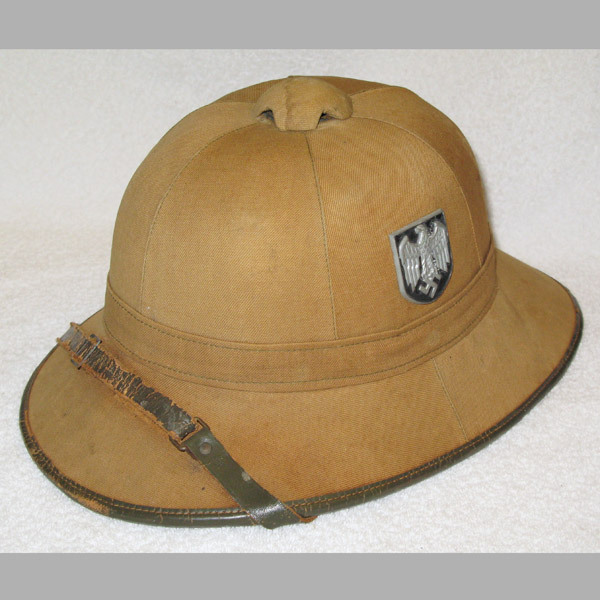 This is a very fine example Heer Austrian Transitional Double Decal Helmet. 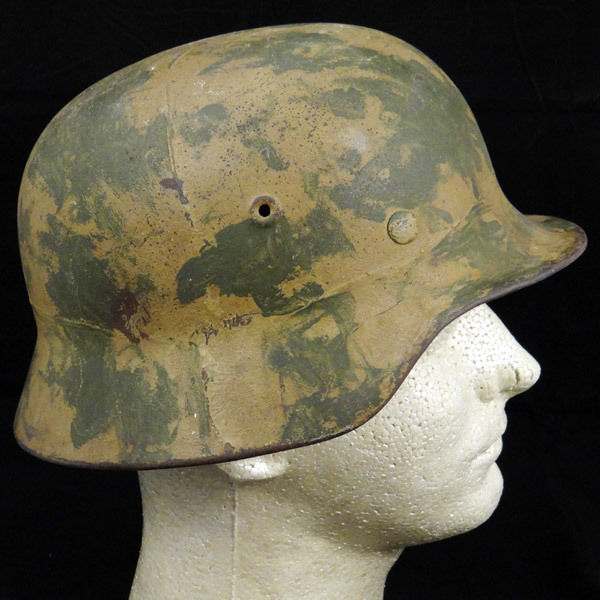 Very nice exterior paint, with both the standard Heer decal on the left-hand side, and what remains of the national tri-color decal on the right. 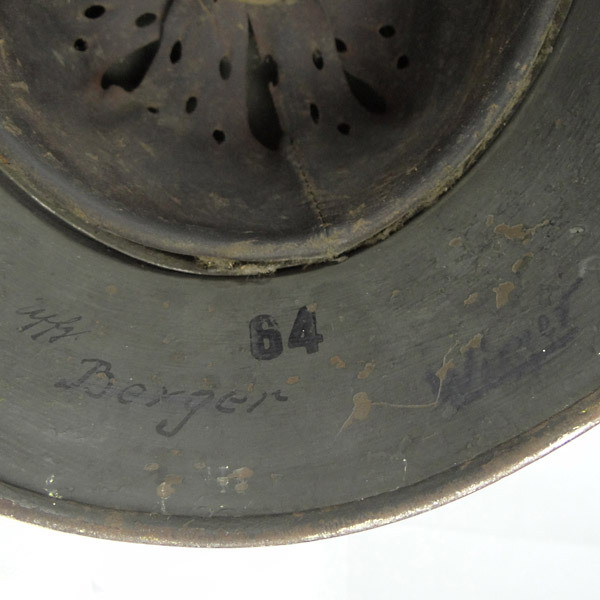 The exterior is in fantastic condition, with the Heer decal at about 90%, while the tri-color decal is almost completely gone, except for a few remnants and its silhouette. 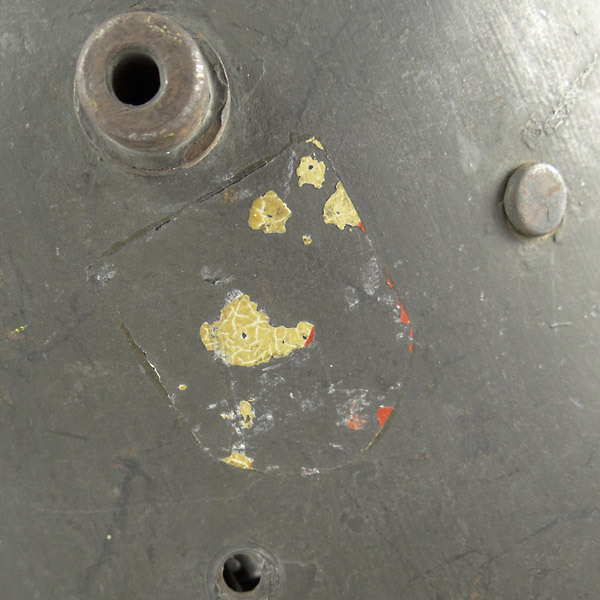 The holes on both sides, beneath the decals, are where the rivets were that secured the old (WWI) chin strap bales. 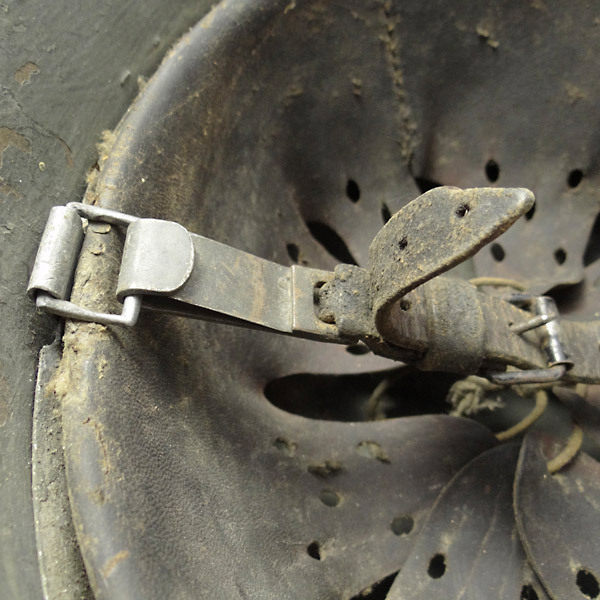 Most were left in place, but it’s normal to see these missing (removed) when they were transitioned for use in WW2 as new chin strap bales were added to the liner strap. 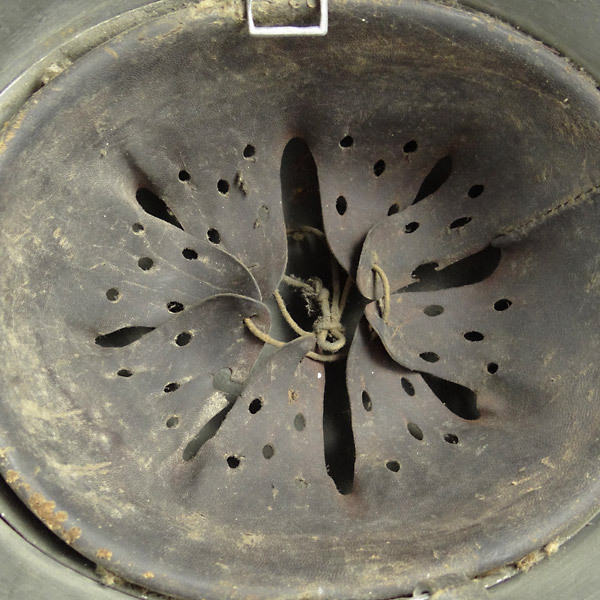 The liner is 100% on this one, including the string used to tie the individual liner tongues together. 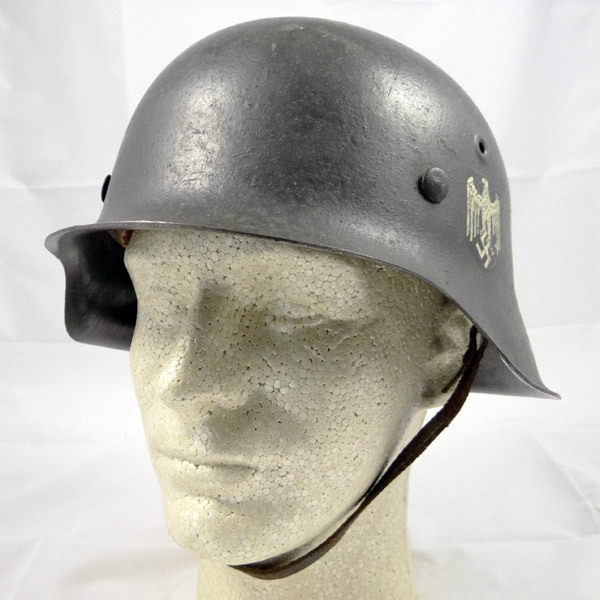 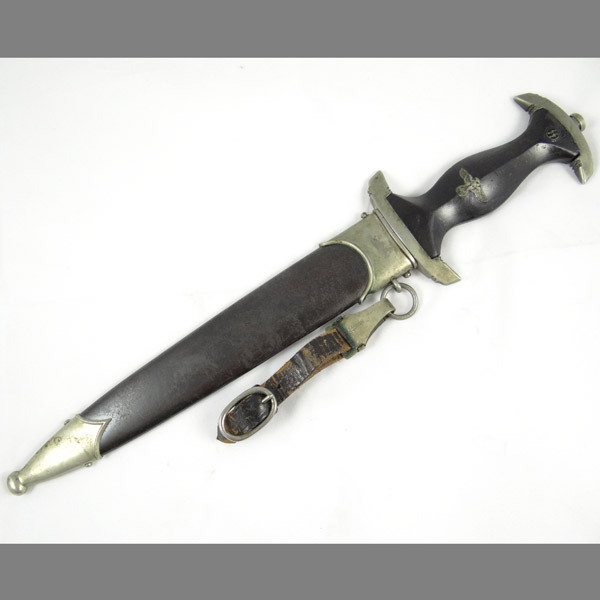 The leather is nice and soft, yet has that “been there” look from years of wartime dirt, grime and sweat! 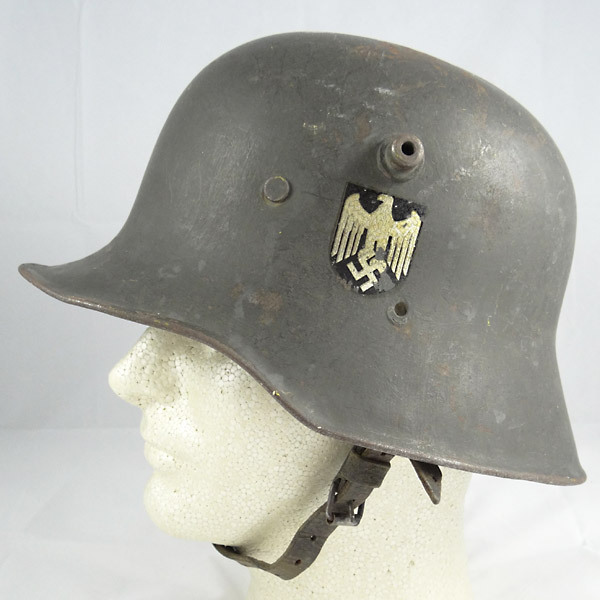 The very early chin strap is very unique and quite rare. 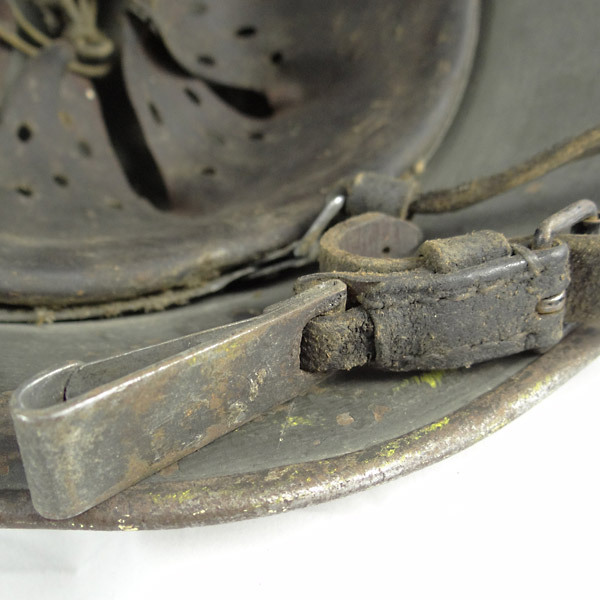 The metal clip attachment is not one that is commonly found on these, and this one is completely in tact. 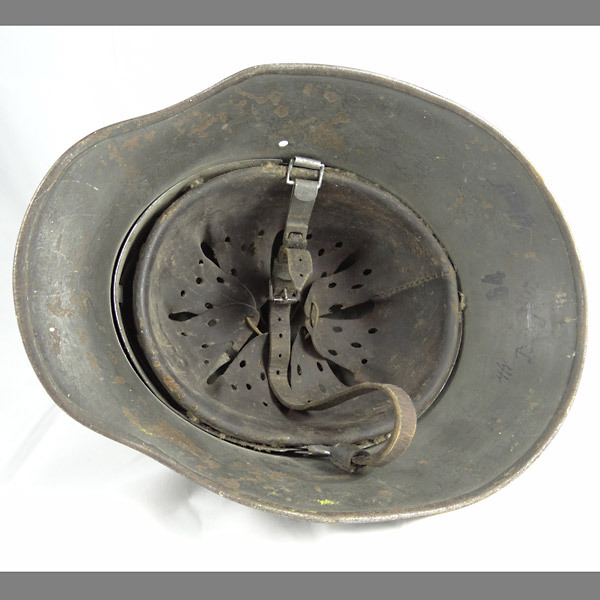 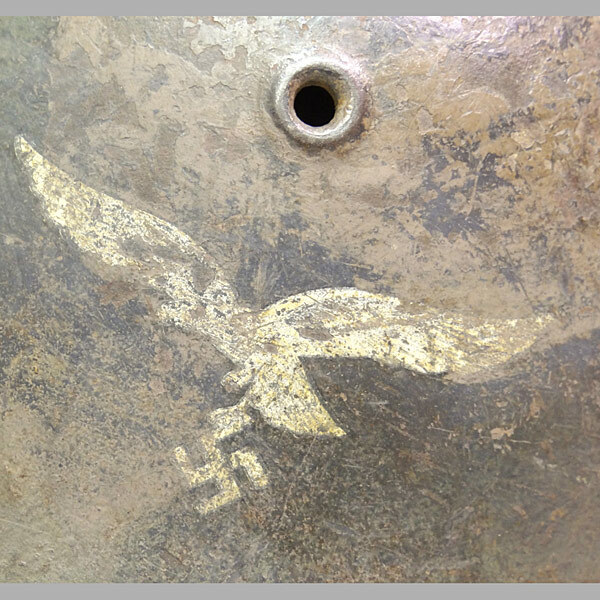 The interior rear rim of the helmet shows that this helmet was issued to two different soldiers during the war, one being an NCO.